Velachery Madipakkam is a property that infuses modern energy with comfort. 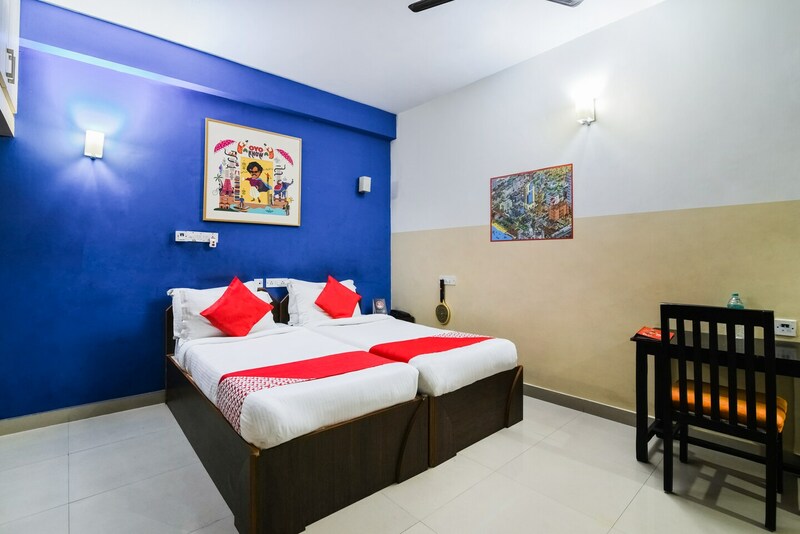 The rooms are well-lit and the bright modernistic paintings add to the ambience that is created. Bright walls and light curtains display the fine combination of subtlety and colour. The hotel has got a seating area and a dining area for all the guests. Free Wifi is available for the guests who are willing to connect with the internet. Card payment option and parking space is available at the hotel. Security is a mandate, and the CCTVs are there to take care of it.